It’s Roastamania: March Meanness as Blacktop Comedy! All Means bringa you their first ever roast battle tournament. 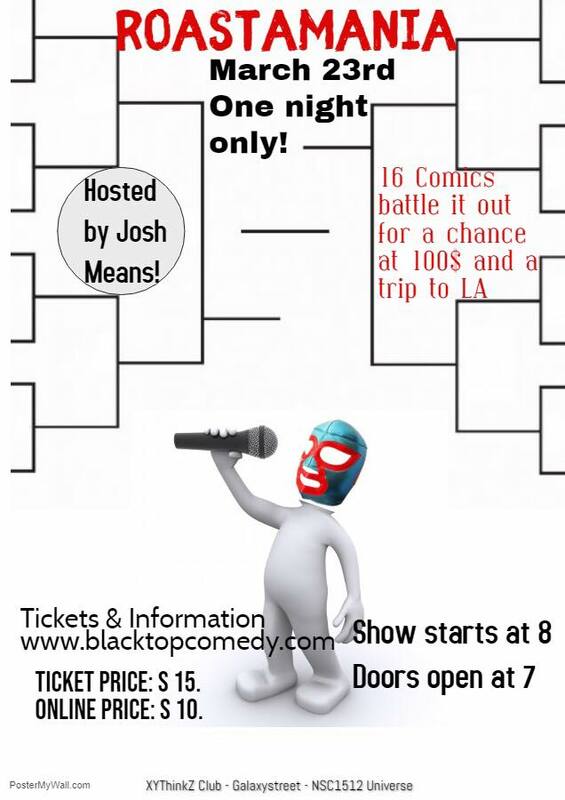 Sixteen of Northern California’s best comedians are coming to Blacktop to lay the smackdown. The winner gets a cash prize of $100 and the chance to do roast battle at the world famous Comedy Store. Hosted by Josh Means. If you love seeing people say hurtful things and friendships put to the test, this is the show for you.